This week’s viral video is a strange mix. 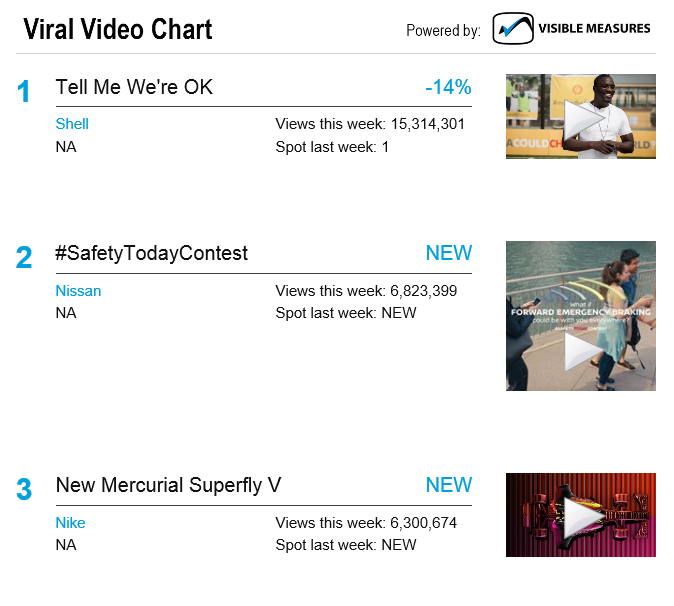 It includes feel-good spots as well as new products: Shell, Nissan, Nike, Galaxy, Hyundai, General Mills, GEICO, Spotify, and Hellman’s round out the top ten of the list. How effective is each video at getting the company’s brand and message across to viewers?